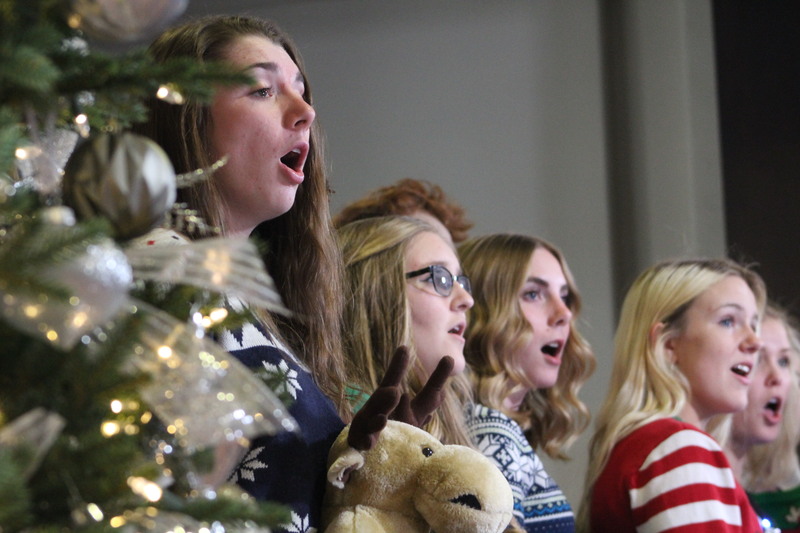 FEATURE — It was festive day in front of a warm fire at a recent St. George News “Paper Jams” session when the Desert Hills High School Chamber Singers came to share some holiday joy with a few traditional Christmas songs. Led by choir director Joe Woolf, the talented group of singers filled the air with the Christmas spirit as they belted out the holiday favorite “Carol of the Bells” for everyone at the Canyon Media center to enjoy. Click on the media player above to watch the Desert Hills Chamber Singers perform “Carol of the Bells” at a special holiday “Paper Jams” session.